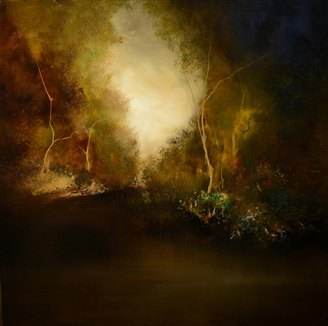 This original artwork is a 2015 oil on linen and depicts landscape, nature and autumn. The size of this art painting original is 24 x 24 in. 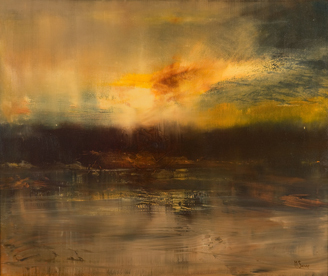 Breakers by Maurice Sapiro reveals a serene and mystical landscape and surrounding water. 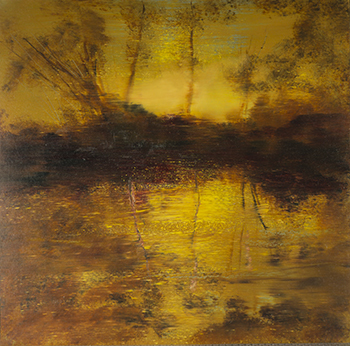 This painting features tones of purple and pink, creating an enigmatic and dark atmosphere.